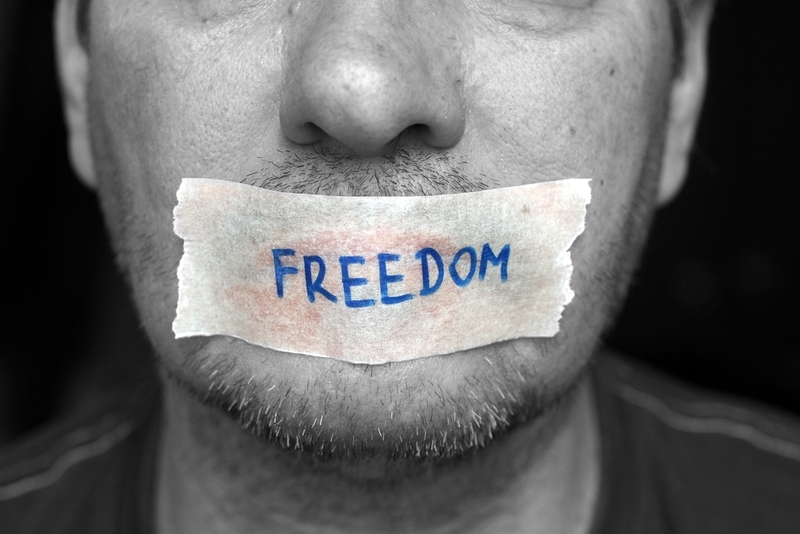 Freedom of speech is one of the most fundamental rights someone can have. That said, there’s a lot of confusion these days as to what freedom of speech does and doesn’t mean in practice. So before you decide to start shouting at someone that you have a right to your speech, it’s a good idea to make sure you know what you’re talking about. Freedom of speech means that the government will not restrict a person’s speech simply because it doesn’t want to hear what that person has to say. Most western governments cannot, for instance, imprison members of a peaceful protest simply for speaking out against government policies (or at least that’s the way it’s supposed to work). That is a very good thing, and it’s a relatively recent historical development — and if you watch the news, you know how many people in the world still can’t freely criticize their governments. However, it’s important to remember that freedom of speech doesn’t extend to all aspects of life; it doesn’t mean anyone has to listen, and it doesn’t mean you can say whatever you want. Basically, freedom of speech only applies to government enforcement. That means that if someone is in a coffee shop and decides to start talking at peak volume about how the government’s new immigration policies are wrong; the management is perfectly within its rights to tell that person to get out. Other patrons can ignore the speaker, or even jeer derisively. There’s no such thing as the guarantee that anyone will care what you have to say, or freedom from being made fun of. There are also areas of legally restricted speech. You know the old saying; you can’t yell “Fire!” in a crowded theatre? While the government cannot restrict you on purely political grounds, it can restrict certain forms of speech it considers a genuine danger. For instance, “hate speech,” which might incite violence against certain groups of people. The key thing is that you can’t turn your words into weapons. Once you do that you’ve stopped expressing your right to free speech and started infringing on the rights of others. A more controversial area of restricted speech is the act of sharing state secrets. Governments argue that doing so can have disastrous consequences — even if some would argue that the consequences of not revealing some secrets are more serious in the long term. All of this is, of course, how free speech is supposed to work in an ideal situation. Unfortunately it’s a very hairy subject that can be interpreted in many different ways depending on who’s doing the interpreting. Often, governments try to gag citizens so they don’t share information that, while damning or embarrassing for the government, is in no way something that constitutes a danger to people if revealed. Take the revelations by Julian Assange of Wikileaks for instance. On one hand, Assange was in possession of state secrets, particularly regarding the wars in the Middle East that could have constituted a danger to troops on the ground. On the other hand, some of the information he possessed was not dangerous at all, but simply inconvenient for the United States government. Where the line should be drawn? How much of the information is truly dangerous state secrets, and how much of it is just facts that the government wants to suppress? How do they decide, and how can we tell if they decide fairly? These kinds of situations happen all the time. At what point does a peaceful protester who is discussing the facts of a law have to stop because her tone might incite a riot? What are the limits imposed on a government when it wants to silence someone? 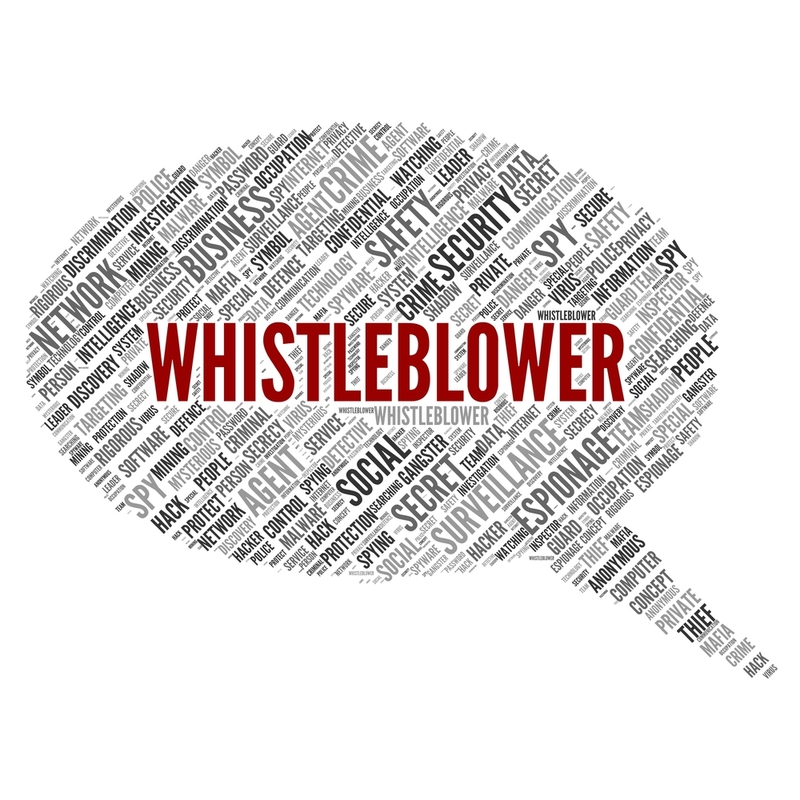 It’s important to remember that there are certain situations where people shouldn’t be allowed to say whatever they want (such as revealing the names of undercover officers, or talking about the new identities of those in the Witness Protection Program), but that doesn’t mean the government should be implicitly trusted to always rule on the side of citizens. It’s only through a careful examination of the law and what’s being discussed that the question of how free speech applies can really be answered. For more information on how freedom of speech works in the internet age, contact us today! 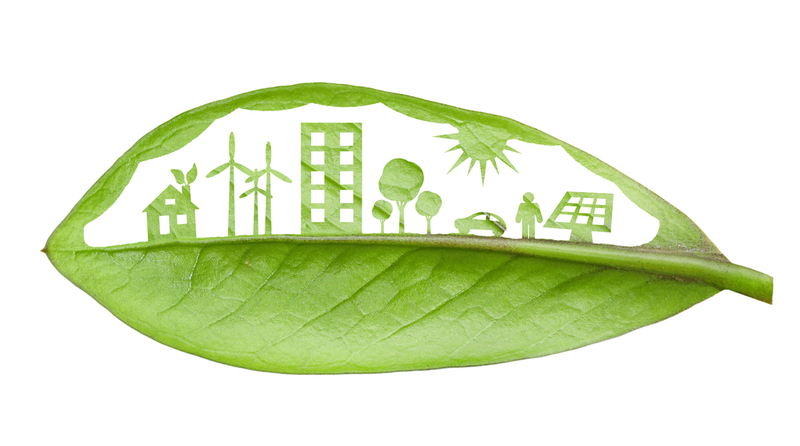 Using renewable energy is significantly helping to maintain the balance of our eco-system. You’ve probably heard a lot of corporate droning about the drawbacks of renewable energy. Powerful oil and gas companies are understandably interested in keeping myths about renewables prominently in the public square so that people will simply accept them as common knowledge. These corporations are profiting handsomely by keeping the energy situation exactly as it is now, and want to keep renewable sources from earning the legitimacy they deserve. We thought we’d debunk a few myths about the downsides of green energy, so you can make up your own mind. Though some fossil fuels are still cheaper than going green, renewables are catching up. And the hidden costs of continuing to depend on carbon — irreversible climate change, dirty air and water, the destruction of habitats – are not usually factored into the market price. This myth gets people to think about their pocketbooks before the future of life on this earth. We humbly suggest that one is a little more valuable than the other. Many critics of green energy suggest that these sources have some harmful effects. For instance, they often cite the fact that birds and bats are sometimes killed by wind turbines and say that we have to be respectful of all living creatures. Indeed, this is true, but it is also a scare tactic. With proper planning before the construction of wind turbines, it becomes quite easy to eliminate the problem. It all comes down to some simple assessments of the migratory patterns of the animals to determine where to put them. Basically, these animals — and all living creatures — are in more trouble in the long term if we don’t switch to renewables. Wrong again. There are plenty of countries that get large portions of their total energy from renewable sources. Germany, Europe’s largest economy, gets 31% of its power from renewables. In 2012, Norway actually generated more electricity than its total consumption from sustainable sources. 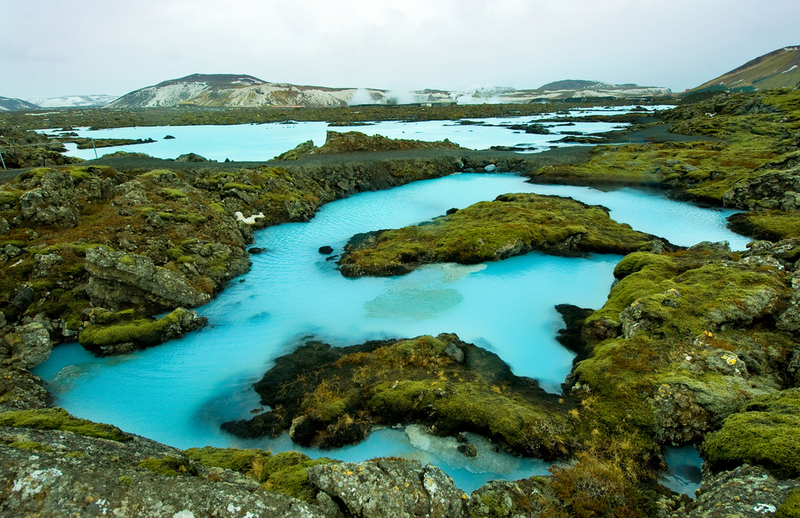 And Iceland, where our servers are located, generates 100% of its energy from a mix of hydro and geothermal power, and it’s attracting plenty of new business. The point is that no matter where you are, from the Arctic Circle to the deserts of South Africa, there is almost certainly a renewable source of energy that can be adapted to large-scale use. The best thing that any of us can do to combat the harmful myths circulating about renewable energy is to educate ourselves and others about the true costs of fossil fuels and the actual facts about going green. Refuting years of corporate messaging is difficult, but necessary. Contact us to learn more about doing your own part to combat corporate energy dominance.